It's by far one of the most beautiful drives in America, and it's right here in northwest Michigan. 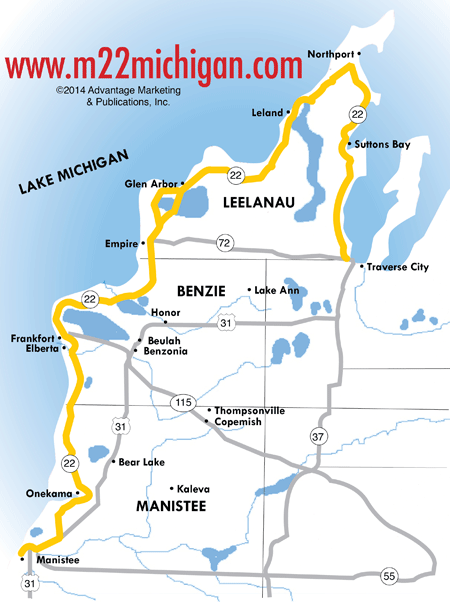 M-22 is a 116-mile stretch of road that winds through the scenic countryside of Manistee, Benzie and Leelanau counties. 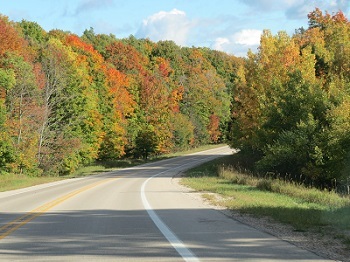 Though very pretty in spring and summer, the fall season is when you really must take this drive along the Lake Michigan shoreline. Along the way you can visit wineries, art galleries, and experience small-town friendliness. 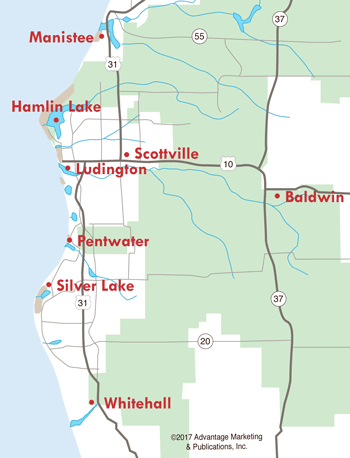 The southern-most section of M-22 starts in Manistee County off US-31. Manistee is a charming Victorian port city, best known for the historic Ramsdell Theater, the 1.5 mile Riverwalk, gorgeous beaches and golf courses, and the popular Little River Casino. Two of Manistee's biggest festivals are the Forest Festival over July 4th and Old Christmas Weekend in early December. The fall season is a gorgeous time to drive through the Manistee area, or walk downtown and browse the variety of stores and restaurants. 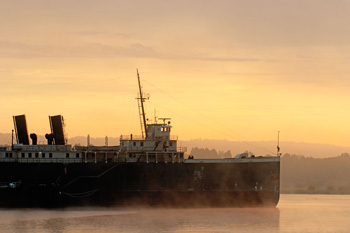 During the month of October, dare to get scared in Manistee's very own Ghost Ship, otherwise known as the S.S. City of Milwaukee the rest of the year. Read more about Manistee. After visiting the city of Manistee, follow the winding M-22 up to the village of Onekama, just 20 minutes north of Manistee. Onekama is commonly know as the "Two Lake Town," offering the combination of Lake Michigan shoreline and peaceful Portage Lake. Read more about Onekama. Less than 15 minutes north of Onekama, and you'll come across the small town of Arcadia, home of Arcadia Daze in July and Arcadia Bluffs Golf Course. More about Arcadia. 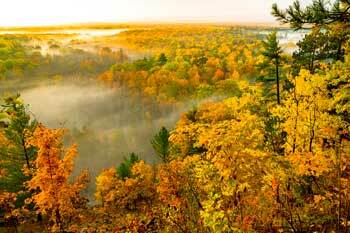 For more information, read our story about taking the fall color tour on M-22 in Manistee County. Traveling north on US-31 from Manistee, pick up M-22 by the Casino. Follow this leisurely route through Onekama...then be sure to stop at the lookout point at Arcadia. Continue on M-22 up Elberta and Frankfort, where you'll find some terrific shopping and great restaurants. Further north you'll find Empire, the gateway to Sleeping Bear Dunes National Lakeshore. You'll want to take some time and visit the park, which offers spectacular dunes and views of Lake Michigan. Continue traveing M-22 north through the Leelanau Peninsula and the towns of Glen Arbor, Leland, Northport and Suttons Bay. Each has its own unique personality (such as Fishtown in Leland) and various wineries are found in this area. Finally, end up in Traverse City, the cherry capital. It's a great place to end your tour, with so much to see and do in this popular northern town. It's well worth an afternoon drive in October to travel the M-22 route. The vibrant colors will amaze you...and the towns will welcome you.